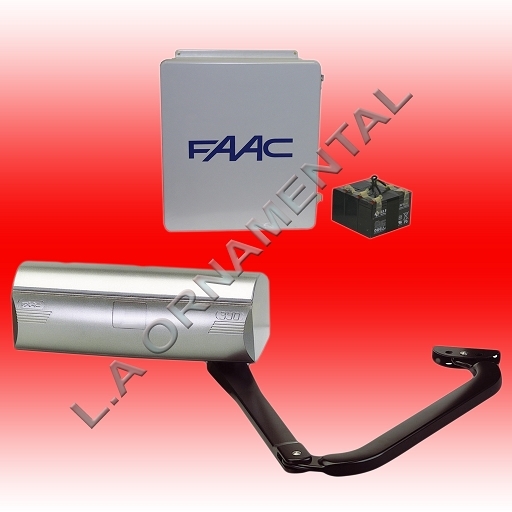 FAAC 390 electromechanical swing gate opener is specifically designed for residential applications. The FAAC 390 is designed to primary accommodate large pillar installations. Also ideal for use on " carriage style" swinging garage doors. The self-contained FAAC 390 24v Opener consists of a irreversible electromechanical motor and articulated arm. The locking the FAAC 390 24v Operator provides in the fully opened and fully closed positions is a service device rather than a security device.